← What’s the Limit When Fishing Catch and Release? Abalone Diving with Spare Air for Safety? Question: While abalone diving, I would like to keep a very small, emergency supply of air on my person as a safety precaution. The device would be shrink-wrapped to indicate evidence of use. The idea being that if the seal is intact, there would be no evidence of “use” and I would be in compliance with the law. The product I’m asking about can be seen at http://www.spareairxtreme.com/. 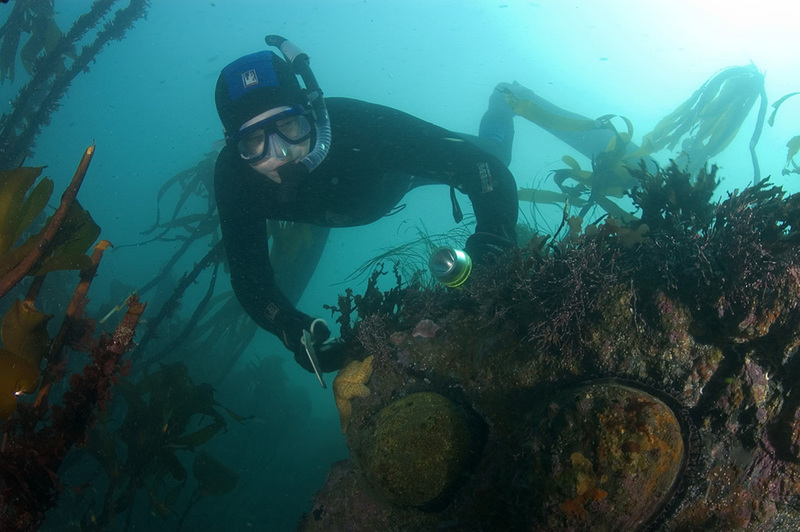 Answer: The law prohibits the “use of SCUBA gear or surface-supplied air to take abalone” (California Code of Regulations Title 14, section 29.15(e)). According to DFG Lt. Dennis McKiver, this includes having it in your possession, even if you are not actually breathing off of it. The law also states that abalone may not be taken or possessed aboard any boat, vessel, or floating device in the water containing SCUBA or surface-supplied air. Since you are not allowed to have SCUBA gear in your possession on a boat while taking abalone (even if the SCUBA gear is not being used), to be consistent with the law, this “spare air” product would also not be allowed as the same principles apply. Turkey hunting and pig hunting at the same time? Answer: There are no restrictions against carrying a shotgun for turkeys and a handgun for pigs at the same time. And since you’re not hunting during the deer archery only season, should you decide to bow hunt for turkeys, there are also no restrictions against carrying both a bow and a firearm on the same trip. Hunting license needed to shoot gophers on private land? Answer: Yes. Gophers are nongame mammals and may be taken by licensed hunters. In addition, gophers that are damaging growing crops or other property may be taken without a hunting license by the owner or the owner’s agent. Answer: Yes, the same prohibition against shooting within 150 yards from an occupied dwelling exists for people shooting from the water the same as when on land (Fish and Game Code, section 3004). And yes, you can post your property to warn unaware hunters/shooters. Hunting Wild Ox or Buffalo? Answer: It is not uncommon for domestic livestock to be found on Forest Service lands. In fact, many ranchers have long-term contracts with the Forest Service allowing that use. In addition, National Forest property is commonly adjacent to private ranches and the livestock frequently stray onto the public land. According to ret. DFG Capt. Phil Nelms though, a truly feral cow or similar domestic stock (except a burro) is considered to be a nongame mammal in the Fish and Game regulations and can be taken. A hunting license is required but there are no prescribed seasons or bag limits. Beware though … if you kill one of these animals and it is not feral, you could be prosecuted for a felony. Stick to deer!! This entry was posted in Abalone, Archery, Big Game, Diving, Fines/Penalties/Citations, Firearms/Ammunition, Nuisance Animals & Pests, Private Land, Regulations, Turkey, Wild Pigs and tagged abalone, ammunition, big game hunting, Diving, firearms, nongame mammals, regulations, scuba, target shooting, turkey hunting, Turkeys, upland game hunting, waterfowl. Bookmark the permalink.